"I do not merely rise above old wrongs; I deny them their reality. I sever my connections to darker times and circumstances. I take people with a fresh eye and an open heart, as they come to me today. Their old dossiers have expired. Our new story has yet to be written." 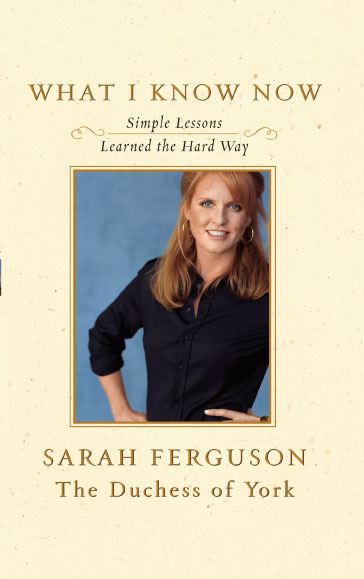 With the characteristic candor and down-to-earth charm that have won our admiration and our hearts, Sarah Ferguson The Duchess of York shares the hard-won lessons that have helped her work through challenges and lead a simpler, more fulfilling life. Admired as much for her honest assessment of her foibles as for her grace in the glare of the media's spotlight, The Duchess here reveals her most private self. She shares the truths she has discovered from embracing her flaws, striving to make every life decision with integrity, and witnessing the selfless acts of others around her. She takes on challenges both small and daunting -- from putting strangers at ease in a social setting to coping with the death of her beloved best friend; from appreciating the small wonders of the natural world to protecting private time with her girls while honoring her many work commitments. Each lesson springs from a life rich with disappointments and victories, and each lesson is seasoned with a healthy dose of humility and warm wit. Readers of My Story may recall my old foes the Grey Men, the Palace bureaucrats who found me insufficiently royal in every way: my dress, my bearing, the friends I kept. They did what they could to make my life a misery, with a strong assist from myself, of course. After leaving their milieu, I'd had no contact with any of these gentlemen for an age -- until last year, when I strolled down a street in Mayfair and passed an art shop. There in the window sat an original portrait, by a well-known painter, of one of the top courtiers. I didn't think twice. I bought the portrait and sent it to the courtier (now retired) with a simple note that I thought he might like it for his children, and I hoped he was well, and I sent my love. I didn't buy the gift to be kinder-than-thou. I simply knew that it would please him, as it would have pleased me. I would have done the same for anyone I knew. A few days later, the mail brought the man's response. Out of respect I will paraphrase, but here is the gist of it: I cannot believe that after all that has happened between us, you can be kind enough to do this. In that exchange, our history was forever altered. 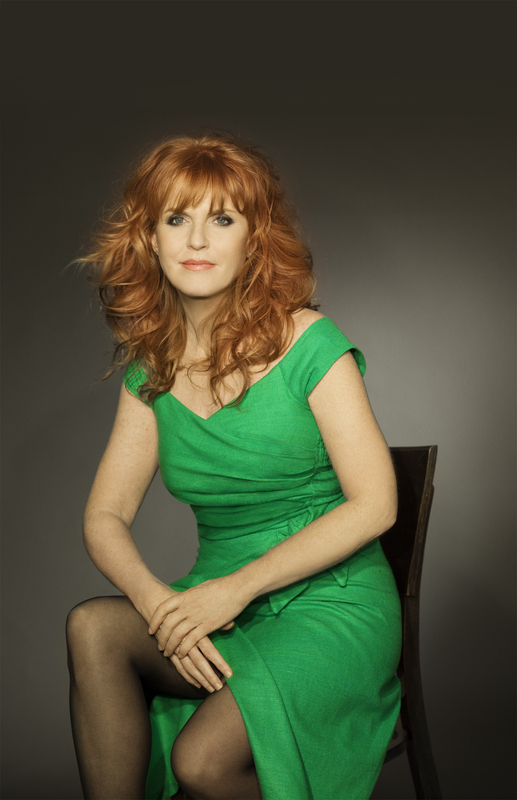 For years I had stewed in my anger at all who had hurt me. Bitterness can be seductive. As long as you hold to it, you are forever wronged -- and thus forever right. Over time, however, I came to realize that animosity was no good for me. It spoiled my natural optimism, made me tedious to be around. Worse yet, it kept me from learning from my errors. When it came to the Grey Man in question, I thought about why I'd been so furious with him. Then I solved the puzzle: I was angry with myself, for the blunders that had prompted his rebukes. I tried to look at life from the courtier's point of view. By his own lights, he was an honest man doing his job. And if, with hindsight, he might have done it less gruffly, what did that matter now? My first step, in sum, was to acknowledge my own trespasses. Once done, it was not so hard to forgive the Grey Man, too. Now I see that I have no right to bear a grudge, nor any interest in it. To lash back can only feed the old injury and any lingering self-doubt. To snub a person is to forfeit our future together. In the end, we both lose. I do not merely rise above old wrongs; I deny them their reality. I sever my connections to darker times and circumstance. I take people with a fresh eye and an open heart, as they come to me today. Their old dossiers have expired. Our new story has yet to be written. By refusing to hurt another, I heal my wounds as well.